Last year, the record labels moved for summary judgment on this safe harbor protection defense, ahead of the trial. This is a crucial issue, as the ISP can be held liable without a safe harbor defense. The result is that the court has adopted the recommendations from the Magistrate Judge, granting summary judgment in favor of the record labels. As a result, Grande will go to trial without a safe harbor defense. 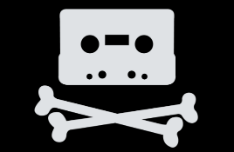 This means that it can be held secondarily liable for the pirating activity of its users.